Coptic Christians in Egypt are reeling from a fresh spate of murders, which they fear are part of a jihadist campaign against them. Three Coptic men were found dead in the space of eight days from the last week of June to the first week of July. A fourth was killed in late May. The lack of obvious motives and the methods used have led Copts to fear the killings may have been carried out by extremists loyal to groups such as Islamic State (IS), which in February vowed to “wipe out” Egypt’s Copts, though no group or individual has claimed responsibility. 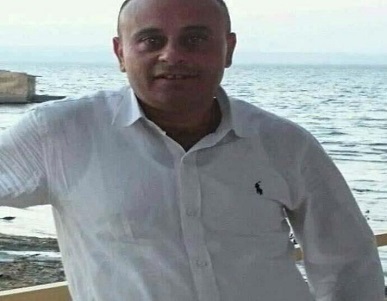 Christian urologist Albert Fekry was found dead in his clinic in Tala, Monufia Governorate, on Sunday (2 July), with a single gash to his neck. On Sunday (2 July) a Christian urologist, Albert Fekry, was found dead in his clinic with a single gash to his neck. Dr Fekry, 67, was found by a patient who returned to the clinic in Tala, in the northern Monufia Governorate, to show him his X-ray results. His priest, Fr Youstos Joseph, said nothing had been taken from the clinic, and suggested the killer had known the doctor worked alone. He added that it was “strange” that the killer had managed to pass the security guards at the church just behind the clinic shortly before he carried out the attack. Christian jeweller Girgis Bushra, 55, was found dead in his home in Heliopolis, outside Cairo, also on 2 July. 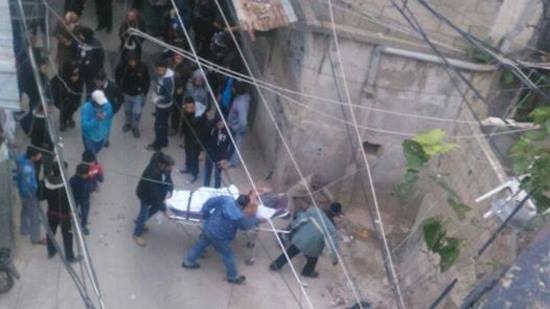 On the same day, in Heliopolis outside Cairo, Coptic jeweller Girgis Bushra, 55, was found dead in his home. He had been shot, according to local police, who have so far made no arrests. Eight days earlier, a Coptic artist was found dead in the city of Minya, capital of Minya Governorate, which is home to many Copts. Michael Nabil Bebawy, a 32-year-old artist, did not return home after attending Mass. His brother-in-law, Michael Adel, told World Watch Monitor his body had been dumped on railway tracks near the station and his head was found beside his body. 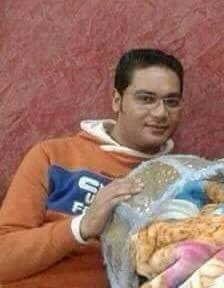 The body of Coptic artist Michael Nabil Bebawy, 32, was found on railway tracks near the station. His head was found beside his body. Mr Adel, a lawyer, continued: “A train driver reported seeing three people dumping a body on a section of the tracks. But the police alleged it was a train accident that severed Michael’s head from his body. But we found pools of blood some distance away from the tracks, not on the tracks themselves.” He said that when he and other relatives visited the morgue of Minya Public Hospital, Mr Bebawy’s body bore no signs of injury. “There were just two marks on his head, indicating he had been beaten before he was beheaded,” he told World Watch Monitor. Mr Adel claimed that the medical examiner who carried out the post-mortem at the morgue did not visit the place where the body was found. The medical examiner’s report has not yet been issued. “The police wanted to portray it as a train accident and not a sectarian one,” Mr Adel said. However, he said he feared Mr Bebawy had been murdered by extremists such as those who massacred 28 Copts on a bus journey through the desert in May, or IS members who had beheaded 20 Copts in Libya in 2015. 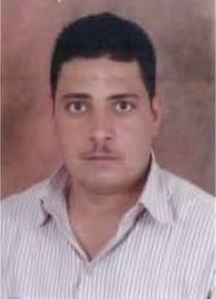 Magdy Zekry Abdel Malak, 40, also suffered a single gash to his neck, when he was killed in May. Police have as yet made no arrests. Two days before the bus attack, on 24 May, a Coptic building contractor was found dead in his work accommodation. Two co-workers said they found Magdy Zekry Abdel Malak, 40, with a single gash to his neck. Police have as yet made no arrests. The dead man’s cousin, Malak Rizk, told World Watch Monitor that he believed Mr Malak was killed “because he was a Christian”, adding that his wallet was found on his person, so he had not been killed for money. A state of emergency in place since attacks on two churches on Palm Sunday has not prevented subsequent attacks against Copts, who complain of a state of indifference among the police. Attacks on Coptic individuals and churches have become more frequent since the removal of former president Hosni Mubarak in 2011. Tala, where Dr Fekry was found dead, was also the scene of the murder of a Coptic husband and wife in January.